One Press® Dies are engineered and built to swage One Press® Sleeves from 1/4" up to 1-1/2" inclusive in just one press. 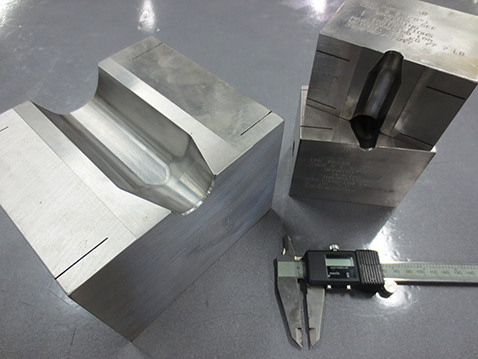 Using One Press® Dies eliminates time-consuming multi-pressing and second stage die changes. The efficiency of One Press® allows the dies to be significantly smaller and lighter than multi-press dies, and they are precision cut to ensure fluid metal movement. These dies work with any modern precision/hydraulic swagers, but are designed and engineered for optimal use with Strider's SMART™, FAST™ and UNIVERSAL™ Swagers. For more information on custom die orders, including traditional multi press round sleeve, swage socket, buttons and aluminum and copper ferrule dies, please contact us today at 905-859-3901.